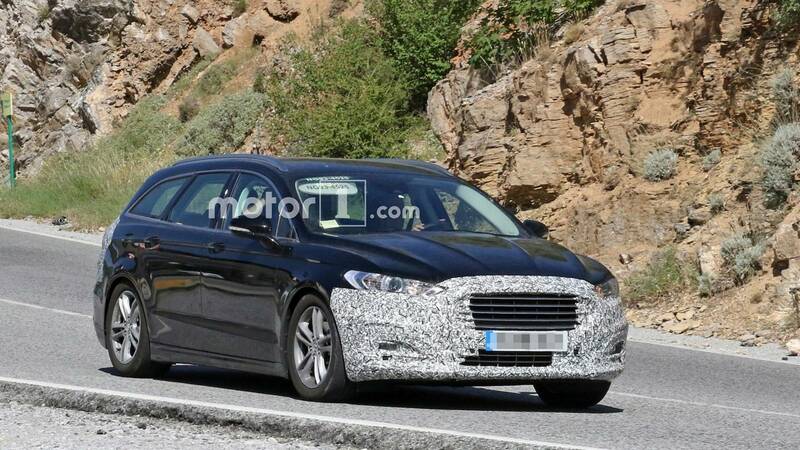 On tests in Europe, Ford Mondeo station wagon is seen in an updated form, which will appear on the shelves this fall. The concept was "caught" by the paparazzi in the version of Titanium. The car was closed by LED lights, as well as almost the entire front and rear. Large innovations are expected in the interior of the car and in technical terms. On the first point, there is nothing to say yet, and the second is expected a new eight-speed automatic transmission, which will replace the six-speed transmission with the 2nd clutch. Still, the engines will receive a noticeable upgrade, responding to the economy. The new Mondeo will be replenished with an improved driver assistance system for the Co-Pilot 360, which includes emergency auto braking, control over blind areas, etc. Regarding the new generation of the Ford Mondeo, it is being developed, and it will be based on the platform from the new Focus.